Instagram has passed 800 million users! Instagram has had some great news this month. According to SlashGear, the social media platform recently revealed it now has 800 million monthly users, growing an incredible 100 million since April of 2017. 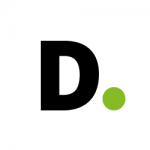 Perhaps even more impressive is the company’s 500 million daily active users. To put that number in perspective, Instagram’s closest competitor Snapchat announced in August it has 173 million daily active users – a huge number of users, yet still dwarfed by Instagram’s platform. This perspective certainly has merit, given that despite the bad press Instagram Stories received upon release, the feature reached 250 million daily active users in a year. Instagram is expected to hit a billion users sometime in 2018. The attack allegedly zeroed in on the firm’s U.S operation, and apparently could have been ongoing since as early as October of 2016. The clients affected are mostly Fortune 500 members, but the specific identities have not been disclosed. What is really concerning is that news of this attack follows the shocking Equifax breach, as well as the cyber-attack on the U.S Securities and Exchange Commission. Clearly, organizations that handle sensitive financial data are being targeted more heavily than ever. Data tracking and targeted advertising is a controversial topic, and the majority of internet users are against ISPs selling their history and invading their privacy. Verizon’s answer to this issue? Rewards for compliance! According to Top Tech News, America’s largest carrier is proposing a new loyalty program, in which it gives customers “experiences you won’t stop talking about” and “rewards you really, really want,” in return for enrolling in the Verizon Selects marketing program. You start gaining rewards after spending at least $300 on any Verizon service. According to the company, Verizon Selects “uses information about your web browsing, app usage, device location, use of Verizon services and other information about you” in order to use targeted advertising. Offering rewards like concert tickets in return for data might seem a little over the top, but Verizon actually has quite a lot of incentive. “Information and a competitive edge derived from a large number of users whose data a company can mine, and to which it can market, is in some cases the most valuable asset of a digital company these days,” Orly Lobel, a law professor at the University of San Diego, told Top Tech News. Search warrants on data are a little different than those on physical property – especially because a lot of data is stored on overseas servers. According to the Justice Department of the United States, Google has stopped challenging warrants from U.S judges that request data from these servers. A lot of tech companies, including Google, have challenged these warrants in the past after a federal appeals court sided with Microsoft when the issue came up in a drug investigation. As explained by Ars Technica, “Microsoft convinced the New York-based 2nd US Circuit Court of Appeals—which has jurisdiction over Connecticut, New York, and Vermont—that US search-and-seizure law does not require compliance with a warrant to turn over e-mail stored on its servers in Ireland.” The government has challenged the court’s decision, but the Supreme Court has not decided whether or not to hear the case. But courts have not always sided with tech companies. Google has even been found in contempt of court for refusing to comply with a D.C judge’s order to hand over data stored overseas. Perhaps that is why the company has moved away from Microsoft and stopped challenging these kinds of warrants. 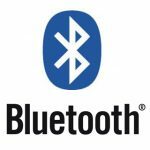 Bluetooth has quickly become the default way for devices to share data across short distances since its original invention in 1994. Unfortunately, its widespread, easy-to-use nature makes it a prime target. 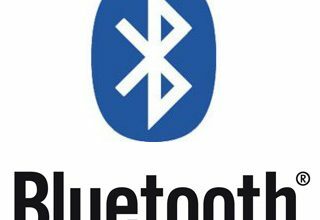 According to an article by ArsTechnica, researchers have created an attack that can hack a wide range of Bluetooth enabled devices running Android, Linux, and Windows. That includes billions of devices worldwide. There is some good news, however, if you use Microsoft. Microsoft has patched the vulnerabilities, so recent updates should protect you against this hack. Moreover, a representative has said that the Windows Phone was never vulnerable to the attack in the first place. Google is also working on patching the vulnerabilities for its Pixel XL and other Google-branded phones, but a total fix might take some time. Apple’s iOS prior to version 10 was quite vulnerable, but should be better going forward, and Linux is expected to release a fix soon. ArsTechnica says that the attack is most potent against Android and Linux devices. According to Reuters, a United States court has decided that lawsuits against Yahoo regarding two major hacking events can move forward. The hacking events took place in 2013 and 2014 and impacted a billion and 500 million users respectively. Since then, five class action suits have brought against the web company by account holders whose personal information and security has been compromised. Comcast’s Xfinity Mobile plans were soft-launched a few months back in limited markets, but now they are available nationwide. According to BGR, they might just be worth considering. These Comcast plans run using Verizon’s network, so you won’t have to worry about coverage dropping or otherwise poor connection. On top of this, users get unlimited data for only $45 per month, which is in stark contrast to Verizon’s $80 per month plan. The other plans include a soft cap of 20GB per month for $25, or the per-GB option which charges $12 per GB. The catch is that you’re only eligible for this plan if you’re already a Comcast home internet customer. So this very reasonable package is not available to everyone, but if it applies to you, it’s definitely worth your attention. As reported by BGR, Comcast is also “letting you mix and match different types of line on one account, which is unusual for a wireless carrier, and can help make a family plan a lot cheaper.” In other words, if different family members have different data usage needs, you can design your account accordingly. According to The Financial Post, Samsung Pay is expanding to more Canadian financial institutions soon. The payment platform came to Canada in late 2016, and is currently only compatible with CIBC Visa cards. Allegedly, the service will soon include Interac, meaning it will be accessible through a number of Canadian banks as early as this month. Interac compatibility made Apple Pay a success in Canada, as many banks use it for both credit and debit card transactions. Likewise, Google’s Android Pay has recently come to Canada and works with most banks, including BMO, CIBC, Banque Nationale, Scotiabank, Desjardins, President’s Choice Financial, ATB Financial and Canadian Tire Financial Services. Samsung is being tight-lipped about the rumor so far, providing the following statement to The Financial Post. Is the $100 Google Mobile Web Developer certificate worth it? Has your dream always been to be a Google-certified mobile web developer? Well, now is your chance. According to The Next Web (TNW), Google recently launched a certification program for mobile web developers, in which you must successfully pass a “Mobile Web Specialist” exam and interview, in return for a badge that can be used on websites and resumes. Recipients of the certification are also entered into a registry, so that employers can check if their certification is legitimate. The certification costs $99. This might sound like a cool program, and it is affordable in comparison to some competitors, but whether or not it is worth the time and money is still up for debate. As the TNW article on the certification explains, “Software development is something that, by and large, doesn’t tend to concern itself with certifications. Plenty of people enter the field without having gone to university at all.” Basically, prior experience might be a lot more valuable on your CV than a badge from Google. That doesn’t mean there’s no reason to get the certification. It is an extra qualification and it cannot hurt. 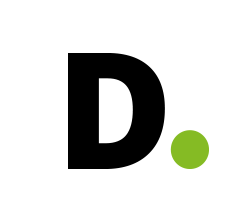 Time will tell how helpful the badge is for job applicants in the web development field. Nobody likes noisy popups on websites. In fact, ad blocker extensions might not be so popular if it weren’t for those annoying little videos. If you feel these frustrations, then Google Chrome has a nice surprise for you. According to PC Mag, the browser will soon add a setting that can permanently mute certain web pages. Right now, you’re able to silence any website in Chrome by right-clicking the browser tab and selecting the “Mute Tab” option. This new setting will allow you to permanently mute sites, meaning you will not have to hit the mute button every time you visit. 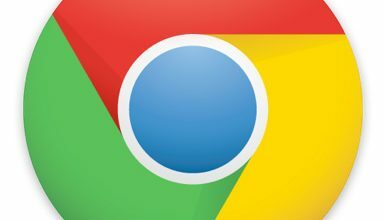 On top of this, Chrome plans on automatically blocking some of the most annoying adverts starting in 2018 – including ads that play audio or prevent you from visiting a webpage. 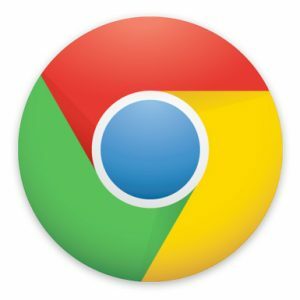 PC Mag explains that this setting is currently available as a part of Google Chrome Canary, “a version of the browser designed to give developers and early adopters access to the newest features before they’re available to the general public.” The Chrome team has not disclosed when this will be available to regular Chrome users.